Ted opened the meeting at 19:30. Ted had a telephone conversation with the president of the Niagara-on-the-Lake Lions' Club. The event does not fit their profile for funding. The plaque has been delivered and has been given to Fort George for mounting. A print ad for the event will run on Saturday, September 10 in the St. Catharines Standards, Niagara Falls Review, and Welland Tribune. Lou said that it is a good idea to maintain the relationships developed with the media. It is easier to maintain these relationships then to build them from scratch. Ted will order 500 more crests, bringing the total ordered to 1800. The emcee will first put the event in context, then introduce the official party. Public thanks will be made to the Ontario Trillium Foundation, Foster Hewitt Foundation, OEB International, Parks Canada, and the Niagara Parks Commission. The plaque will be read in both languages after it is unveiled. Jane Graham will be asked to lead the unveiling. During the unveiling, the Scout Brigade will stand at alert. David Randle will then lead them in a cheer shortly following which they will file out. There will be no stage. The Scout Brigade is renting a sound system with four speakers and a mixing board. Bill C. will talk to Cogeco about having them video the ceremony. Lou suggested getting in touch with Buffalo TV stations as well. The honour guard will consist of 13 Canadian Scouts in 1955 uniforms, eight in modern uniforms, and three American Scouts. The Scout Brigade has asked that car, band, and other parade members form up in the parking lot of Fort George. The Scout Brigade will form up on the other side of Queen's Parade. They will step out at 13:55. Jane Graham and her husband will be asked to ride in the car. 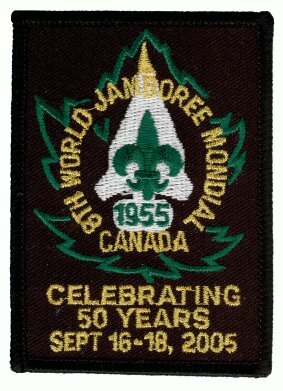 Ted will contact Scouts Canada regarding prominent former Scouts who could speak at the dinner. Following this, attendees will share their memories. Committee members who were attendees should prepare a reminiscence to kick off spontaneous sharing. Bill C. will book a room at the Pillar and Post Inn for an informal soirée following dinner.